Data cable is one of the important thing that every one needs the most. It can be used to transfer pictures, videos, songs, and even game data from our tablets to computers and back again. iPad® tools like data cables make iPad® usage so easy and effortless. Simply plug and go. Often times you can even set which media to update or not, so with one click, you are set and can sit back and relax while your iPad® does all the work for you. Pick up your iPad® data cable today for excellent pricing and free shipping to the U.S @ smacktom.com, the best online store for affordable and quality Apple® iPad® 2 accessories. Click on your Tablet and explore our selection of Cables for iPad® 2 ! 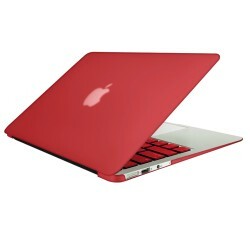 Rubberized Hard Shell Case With ..